If you're looking for a new spot to live, you know how hard it can be to find a good deal. So what does the low-end pricing on a rental in Lower Pac Heights look like these days -- and what might you get for the price? Walk Score indicates that the neighborhood is a "walker's paradise," has some bike infrastructure and boasts excellent transit options. It also features median rents for a one bedroom that hover around $3,650, compared to a $3,500 one-bedroom median for San Francisco as a whole. A look at local listings for studios and one-bedroom apartments in Lower Pac Heights, via rental site Zumper, paints a picture of what budget-minded apartment seekers can expect to find in this San Francisco neighborhood. Listed at $1,995/month, this one-bedroom, one-bathroom rental, located at 2859 Bush St., #101, is 45.3 percent less than the $3,650/month median rent for a one bedroom in Lower Pac Heights. The building offers on-site laundry. In the unit, anticipate hardwood flooring, built-in storage features and granite countertops. Feline companions are permitted. There's no leasing fee required for this rental. This studio apartment, situated at 2158 Pine St., #Apt #5, is listed for $2,700/month for its 300 square feet of space. 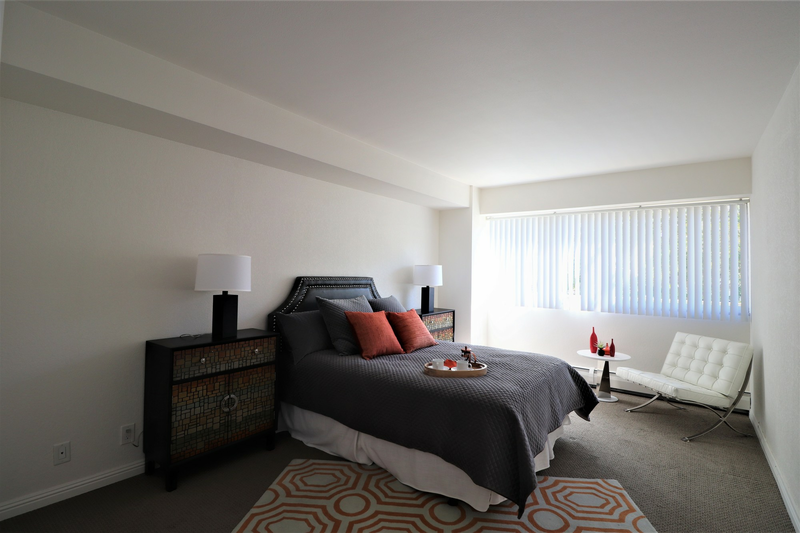 In the apartment, which comes furnished, anticipate hardwood floors, high ceilings and closet space. Amenities offered in the building include secured entry and on-site laundry. Pet owners, take heed: cats and dogs are welcome. The rental doesn't require a leasing fee. And here's a one-bedroom, one-bathroom apartment at 1333 Gough St., which, with 706 square feet, is going for $3,200/month. The building features garage parking, a fitness center, concierge service, an elevator and on-site laundry. Apartment amenities include high ceilings, central heating, a mix of hardwood floors and carpeting, a balcony and a walk-in closet. Pet lovers are in luck: cats and dogs are welcome. Be prepared for a $40 application fee.